If you handle food products, you certainly know about the Food Safety Modernization Act (FSMA). For a quick primer on its impact on logistics professionals, check out our recently posted logistics guide to the FSMA. In a nutshell, the new regulations say that it is no longer enough to follow safety steps. 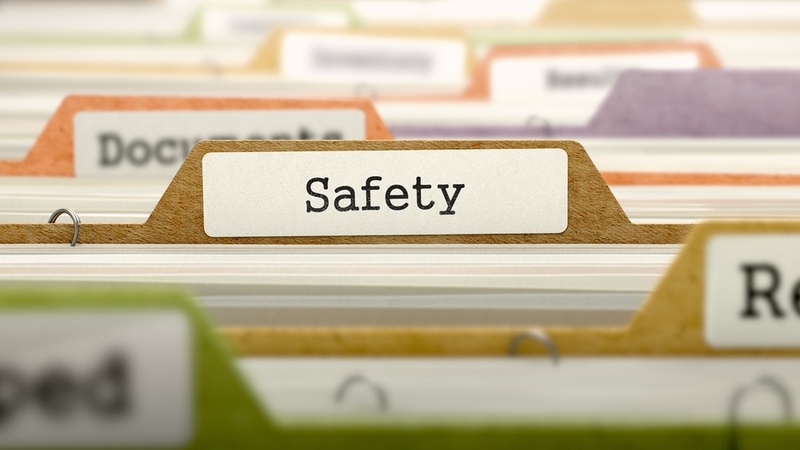 As a food logistics professional, you now need to demonstrate – and document via a Food Safety Plan (FSP) – that you have proactive safety measures in place to prevent hazards from developing. Prior to FSMA, FDA actions were about reacting when bad stuff happened. This created problems since it was hard to pinpoint the source of food-borne illnesses along a lengthy supply chain, where products change hands many times between grower and consumer. With the new focus on prevention, the FDA’s floodlights will now shine brighter on the post-manufacturing supply chain - including the food warehouse and transportation components. Under the FSMA, every food producer is required to create a Food Safety Plan based on a new approach to food safety called HARPC -- Hazard Analysis Risk-Based Preventive Control. Do you have to write it? Probably not. But it’s important to assess and document the following to satisfy FDA requirements. Hazard analysis. How might the warehouse and trailer environment contribute to contamination or other hazards? Preventive controls. What controls can you put in place to mitigate these potential problems? Oversight and management of preventive controls. This includes (a) monitoring your environment, (b) establishing corrective actions, and (c) verifying that actions have been taken and have addressed the issue. Process controls apply to food during the manufacturing process (e.g., specific refrigeration requirements, temperature and time requirements). Food allergen controls refer to steps to prevent cross-contamination with food products that can cause allergic reactions. With sanitary controls, according to the University of Idaho School of Food Safety, “the emphasis is placed on preventing cross-contamination (pathogens) and cross-contact (allergens) from people, “insanitary objects”, raw product, and packaging.” For example, the process of cleaning a trailer after carrying a shipment of poultry would be documented here. The recall plan must address, among other things, how to identify the consignees that have received a shipment of a potential harmful product. Obviously, this speaks to the ability of your logistics systems to isolate the problem product and pinpoint exactly where it ended up. Food producers who are regulated by HACCP may not need to create a separate Plan as long as they are in compliance with HACCP. Food producers regulated by the USDA may also be exempt from creating a plan. There are 4 additional categories of food producers that may be exempt. Have you hired competent staff (or consultants) whose main responsibility is to ensure regulatory compliance? Are they HACCP-certified? Do you have someone who can write and implement your food safety plan? Are processes written at both corporate and facility (e.g., food warehouse) levels? Have you evaluated current plan processes against plan requirements as defined by FSMA? Many elements of a Food Safety Plan will not impact most logistics professionals. But here’s what you need to know in simple terms: the food safety focus has shifted sharply from reaction to prevention. That means everyone along the food supply chain, including internal and outsourced logistics operations, must adhere to certain sanitary practices, and be able to prove it.